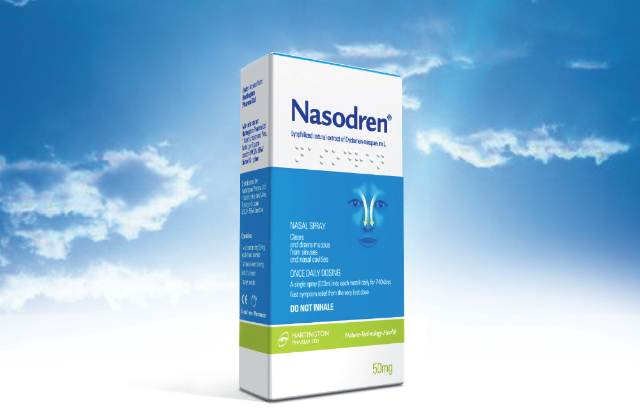 A pilot study with Nasodren® has recently been started in the United States in patients with acute sinusitis. This is a randomised, double-blind, placebo-controlled trial in which cyclamen extract will be given for 7 days, with a follow-up period of 90 days (with visits after 15, 28 and 90 days). 50 patients have been included (25 in each treatment group), recruited from about 15 health centres in North America. The primary goal of this trial is to evaluate the changes in each treatment group in the computerised tomography scores with respect to the baseline score (days 15 and 28); in addition, as a subjective end-point, the change induced by each treatment (cyclamen extract and placebo) with respect to the baseline score in the patients’ symptoms (using the Total Symptom Score, TSS) will be analysed from day 1 to day 4 and from day 8 onwards. It is also intended to achieve a very extensive battery of secondary goals with this study. Among others, it is intended to analyse the change in the TSS from baseline to days 15 and 28, the average cure time, the frequency of sinusitis episodes during the three-month follow-up or the presence/absence of purulent mucus and inflamed nasal mucosa in the nasal endoscopy performed at the end of the treatment period. As main inclusion criteria, it is wished to recruit adult patients (18-70 years), with a total symptom score in the TSS ≥ 3 (up to 6). Of the four characteristic symptoms of acute rhinosinusitis, two will be studied in particular detail: nasal obstruction or congestion and facial pressure or pain; the symptoms will be scored on a 4-point scale (where 0 means no symptoms and 4 means severe symptoms). As other inclusion criteria, the patients recruited for this trial must show evidence of purulent mucus and inflammation in the nasal endoscopy; in addition, the CT scan must show clear radiological signs of acute sinusitis. The patients must confirm their wish to take part in the study and attend all the scheduled visits. However, patients with at least one of the following limitations are excluded from this study: a known history of hypogammaglobulinaemia, ciliary dyskinesia, atrophic rhinitis, drug-induced rhinitis and/or cystic fibrosis; known hypersensitivity to cyclamen extract; presence of other serious concurrent diseases (such as malignant tumours or serious liver disease); abnormal results in the imaging or laboratory screening; have conditions that may impair the product’s action or assessment of its risks/benefits (mucocele, advanced polyposis,...); existence of bone lesions in the sinus X-ray; pregnancy and/or breast-feeding; history of upper airway viral infection in the last two weeks; fever; facial or periorbital oedema; existence of local complications (such as orbital cellulitis, vein thrombosis,...); disturbed mental state; recent nasal surgery; use of antibiotics and/or decongestants in the days prior to the study; radiotherapy or chemotherapy during the 12 months prior to the study; use of an investigational drug or device during the previous month; abuse of alcohol or other drugs in the last 5 years; and/or presence of unstable organic systemic disease. The existence of chronic rhinosinusitis or the presence of asthma and/or allergic rhinitis are not exclusion criteria. At the first visit, the patients are randomised and distributed to each of the treatment groups, after carefully checking the exclusion and inclusion criteria. At the visit scheduled for day 8 (just one day after stopping treatment), it is planned to perform a nasal endoscopy and the changes in the patients’ symptoms will be analysed. The CT test will be performed at the visits scheduled for days 15 and 28. In short, as Michelle Carpenter acknowledged, “this is only a first study, which is necessary in order to understand in greater depth how Nasodren® acts and what effect it induces. This study will provide the foundations for other comparative trials (cyclamen extract vs active therapies) in which more specific clinical goals will be set.” The first results of this trial will be published in early 2008. Cyclamen extract, is a natural product that is applied topically. It does not cause any significant residual irritation, it does not remain in the nasal cavity and has no systemic effects.The cyclamen extract has a local action on the sinonasal mucosa, triggering a reflex secretion. The product is administered intranasally and its specification is to stimulate physiological mechanisms within the nasal passages and facilitate discharge of these secretions by means of an intense natural drainage of the paranasal sinuses. 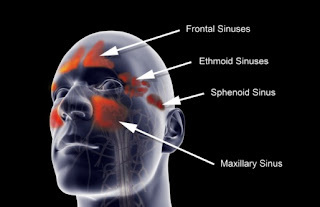 Besides on having an attractive petals, somehow it is quite useful to cure acute sinusitis at all.